The ARC condo is located at 2885 Bayview Ave and is a fantastic 15 storey condo in a prime spot in North York at Bayview and Sheppard. 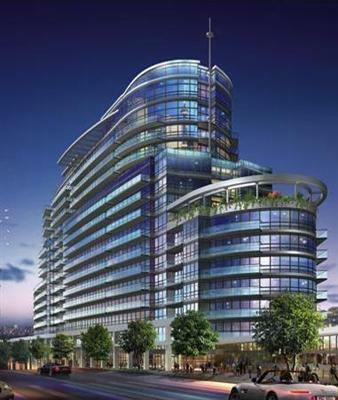 Like no other condo in Toronto, the Arc Condo is shaped just that – like an ARC. Amazing location just steps to the TTC subway station, close to 401 and 404. Stones throw to Bayview Village Mall. Modern 2 storey lobby was designed by Mike Niven and features a 2 storey cascading waterfall. The ARC condo also offers residents spa like facilities in the ARC AquaFit Centre which features an indoor pool, a whirlpool, co-ed steam room, exercise room with flat screen tvs and a boxing corner. An on site Recreation co-coordinator is also available to help design a fitness program specifically for you. Club 8, located on the 8th floor is the ARC condos place to relax. Residents can enjoy the ARC media Lounge, the Party Room with a catering kitchen, a games and billiard room, a coffee bar and internet café and let’s not forget the Screening theatre. Club 8 also features a large outdoor BBQ terrace where residents watch the Toronto skyline. The ARC also offers 2 Guest suites for rent. The ARC Condo Amenities: Access to the Subway station, party room with kitchen, games and billiard room, internet café, indoor pool with whirl pool and steam room, exercise room. If you are interested in buying or selling at the ARC condo , contact me.